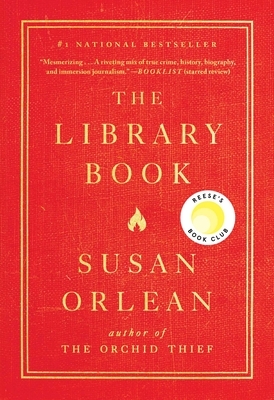 Simon & Schuster, 9781476740188, 336pp. A dazzling love letter to a beloved institution—and an investigation into one of its greatest mysteries—from the bestselling author hailed as a “national treasure” by The Washington Post. On the morning of April 29, 1986, a fire alarm sounded in the Los Angeles Public Library. As the moments passed, the patrons and staff who had been cleared out of the building realized this was not the usual fire alarm. As one fireman recounted, “Once that first stack got going, it was ‘Goodbye, Charlie.’” The fire was disastrous: it reached 2000 degrees and burned for more than seven hours. By the time it was extinguished, it had consumed four hundred thousand books and damaged seven hundred thousand more. Investigators descended on the scene, but more than thirty years later, the mystery remains: Did someone purposefully set fire to the library—and if so, who? Susan Orlean has been a staff writer at The New Yorker since 1992. She is the author of seven books, including Rin Tin Tin, Saturday Night, and The Orchid Thief, which was made into the Academy Award–winning film Adaptation. She lives with her family and her animals in upstate New York and may be reached at SusanOrlean.com and Twitter.com/SusanOrlean.